click here and then scroll down to get the “ Adobe Reader” for free. Furthermore, know it works best in Google Chrome browser. Type needed information on both forms (Application for Marriage License, & License and Certificate of Marriage). Then print out both forms. Then sign both forms: on the License and Certificate of Marriage, groom to sign #15 and bride to sign #16; and on the Application for Marriage License, both sign where it says “signature” in the proper columns for groom and bride. Both forms are then mailed with the other items below. 1. Dates of your visit to the island. 2. The date you plan to pick up your marriage license. 4. Your daytime phone number. If either party is divorced, a certified copy of divorce decree must accompany the application (a “certified copy” is stamped with the raised seal from the court where your divorce was issued). A certified copy from Vital Statistics is not accepted. The certified copy must come from the court where the divorce was issued. The court here wants your ENTIRE DIVORCE DECREE. If a former partner is deceased, a certified copy of the death certificate must accompany the application. Divorce decrees and death certificates must be in English. The Superior court must receive your marriage license application at least 8 days prior to you picking up your license on St Thomas. Because the couple must pick up their marriage license in person from the Superior Court, with a form of photo identification and your copy of the postal money order receipt. Equally important to protecting yourself, it’s a good idea to photostat everything you mail to the superior court and bring it with you when you pick up your marriage license. The Superior Court is located in the Alexander Farrelly Justice Complex on the waterfront in Charlotte Amalie, St. Thomas, Virgin Islands (Federal Building). The court is open 8:00 a.m. to 5:00 p.m., Monday thru Friday. No Shorts, halter tops, flip flops or beach wear. The court wants the men to wear long pants and the women to wear dresses. If you want to pick up your marriage license on a day the court is closed (Sundays and Holidays), you may do so between 10:00 and 11:00 a.m. There is an additional charge of $150. Please speak with me about how to avoid this. Your wedding officiate, Anne Marie Porter, is ordained by the American Fellowship Church. Also be sure and mail your application and required information Certified Mail, Return Receipt Requested. Helpful Hint: Two weeks after mailing your application, phone the marriage license clerk, Ms. Monsanto, and ask for your license number and tell her when you will pick up your license. 340-774-6680 ext. 6207. If you get her answering machine, leave the spelling of the grooms’ name and the date you mailed your application, and the date you will pick up your license. To fill out the Application Form from your computer click here to download the form. Go to File select “Save as” so you can fill out the form later. Choose a location on your computer and click save. Go to the location where you saved the file and double-click it. This will open the file so you can fill it out. To see a sample of the Application click here. To see a sample of the License and Certificate of Marriage Form click here. Above all know it works best in Google Chrome browser. In addition, you can check www.visuperiorcourt.org for more release dates. SPEAK TO ANNE MARIE IF YOU MUST PICK UP YOUR LICENSE WHEN COURT IS CLOSED. The wedding ceremony, personalized just for you. The wedding site, Virgin Islands National Park beach or sugar mill of your choice. Anne Marie is also happy to come to your vacation home or resort. The filing of documents with the court and mailing you certified copies of Certificate of Marriage for your records. Help, with everything, from a 33 year resident of St. John, Virgin Islands. 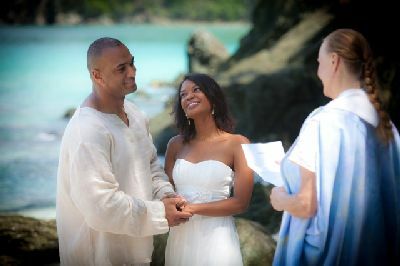 Maybe you are looking for more USVI Marriage License Application Information?